Welcome to Jefferson County Student Nutrition Website.We believe that our students need healthy meals to learn.The Jefferson County Student Nutrition program serves healthy meals every school day. We have 12 operating cafeterias in the Jefferson County School district. 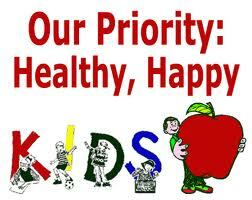 Jefferson County Student Nutrition office is located at 1221 Gay St. Dandridge, TN. We may be reached at 865-397-3945. Independence Avenue, SW, Washington DC 20250-9410 or call toll free (866)632-9992 (Voice). Individuals who are hearing impaired or have speech disabilities may contact USDA through the Federal Relay Service at (800)877-8339; or (800)845-6136 (Spanish) USDA is an equal opportunity provider and employer."